There are those professors that make your laugh, and there are those professors that make your work. With professor Dhananjay Kumar, you get a bit of both. 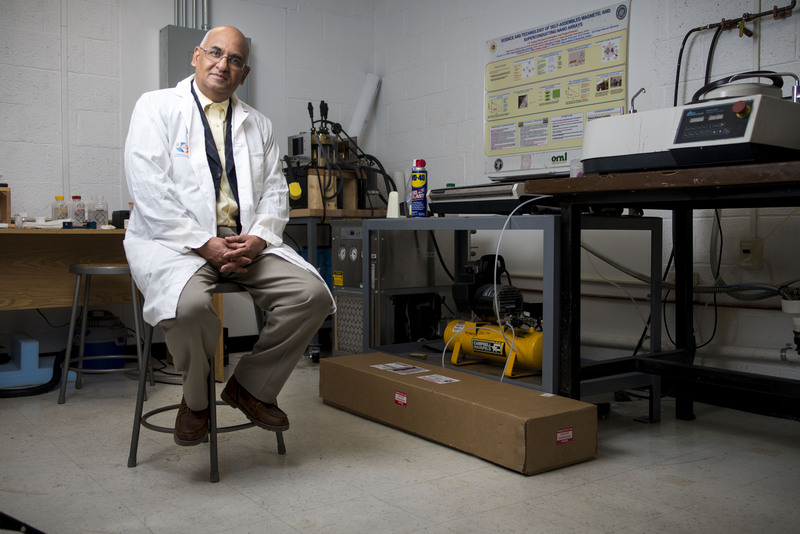 After nearly two decades at N.C. A&T, Dhananjay has made important developments in the field of mechanical engineering. The native of India has also become a kind of cultural ambassador of sorts, bonding with his students by sharing his culture. Dhananjay grew up in a remote village in India. He ended up getting his PhD at Indian Institute of Technology Bombay (the MIT of India, Dhananjay said.) He did stints at NC State and at the University of Florida before settling at A&T in 2000. “I knew A&T very well. I knew its historical background and opportunities,” Dhananjay says. 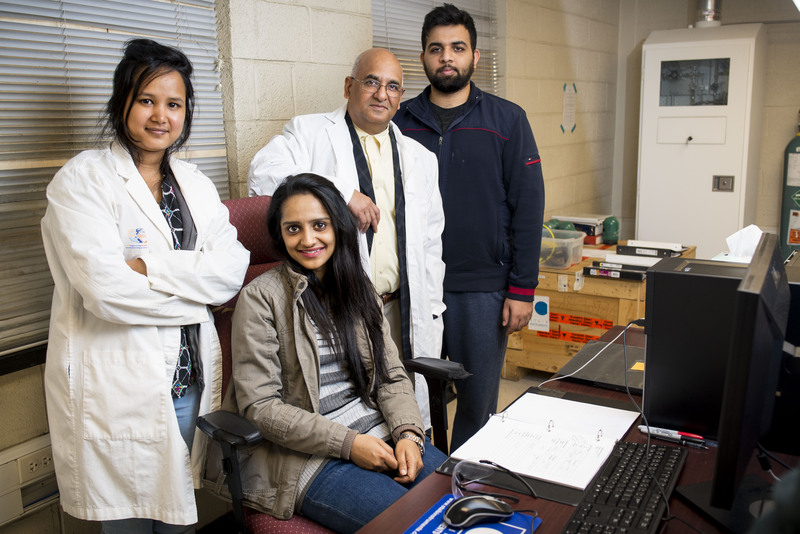 Within a year of starting his career in Greensboro, Dhananjay became a joint faculty member at the Oak Ridge National Laboratories, a Tennessee-based science and energy laboratory run by the U.S. Department of Energy. 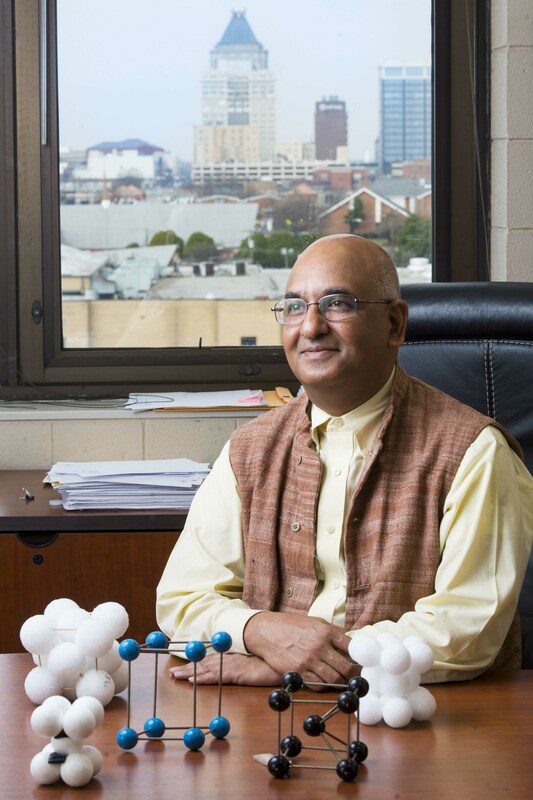 It was the first appointment of any HBCU professor at Oak Ridge, and it helped Dhananjay make important contacts who helped him write grants to the National Science Foundation. He soon earned a four-year, $1.4 million grant to develop nano materials – a cutting edge science. “It was such a big deal at the time,” Dhananjay says. That grant laid the groundwork for what has been Dhananjay’s life’s work. It led to more grants and two pending patents. “That has become my niche. It has given me an identity,” Dhananjay says. It’s also put him in a spot to give A&T students a leg up in the field. He says its very important to him make sure HBCU students get the opportunities, the encouragement and recognition they deserve. “I am in a very special place to serve the community,” Dhananjay says. While he’s been busy breaking ground in mechanical engineering, he’s also befriended many students. He’s found a way to make them comfortable. “I get this compliment from students. Sometimes, they call me, ‘Hey, Kumar,’” Dhananjay says. He’s also shared his heritage with them, as a member of the India Association of the Triad. The nonprofit promotes Indian culture by sharing it with the broader community. A few years ago, the group did a special Bollywood dance performance. Dhananjay and local students participated. “We treated them like family – not like a student,” Dhananjay says. Years later, the dance troupe members still shower him with well wishes on his birthday.